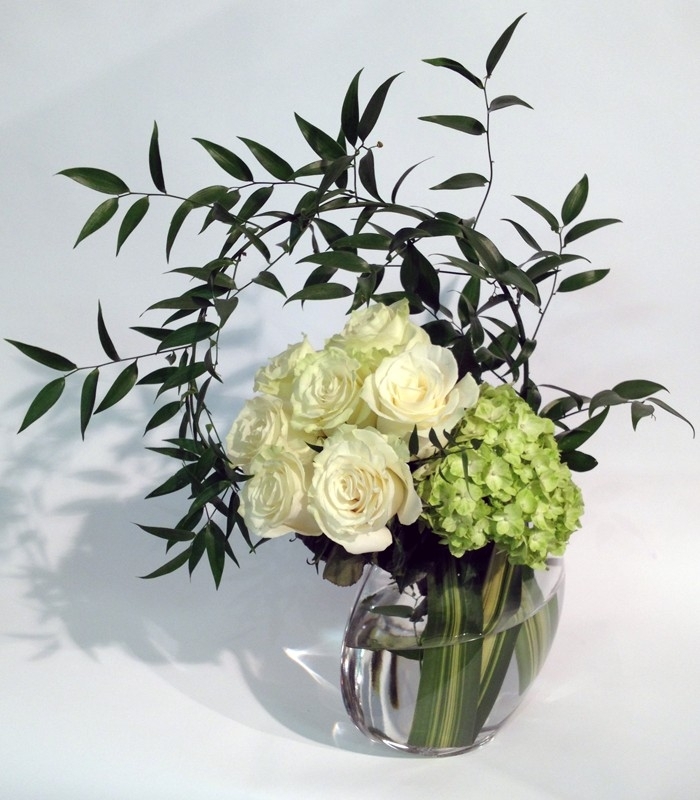 Funeral design with whites roses from the most beautiful Equator greenhouses and green hydrangeas. 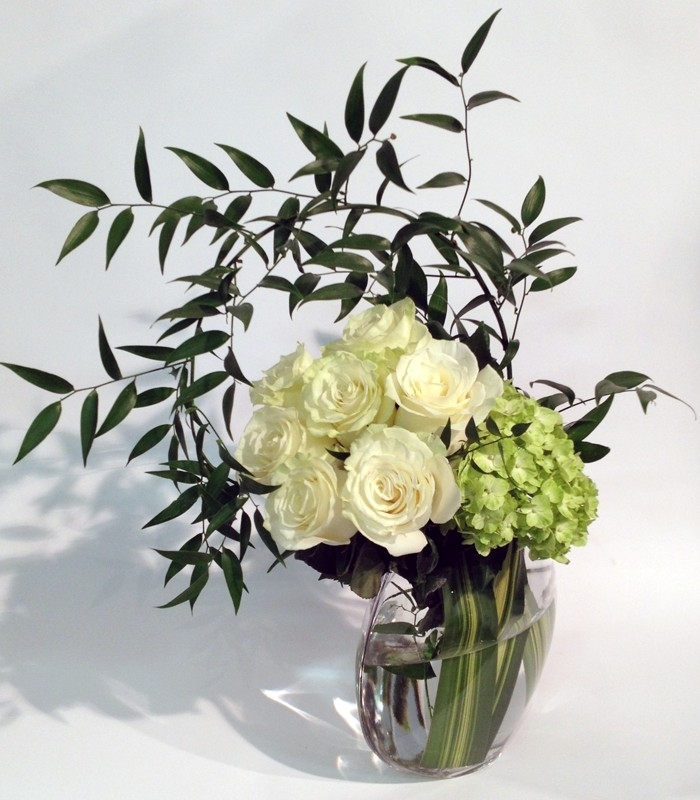 The flowers are inserted in a lunar shaped glass vase with a pendanus leaf inside. This unique vase is included in the price. This arrangement can easily be brought back home.